From Valley of Fire, we follow the park road west , out of the mountains to Route 15 south. Only about fifty miles to Las Vegas. 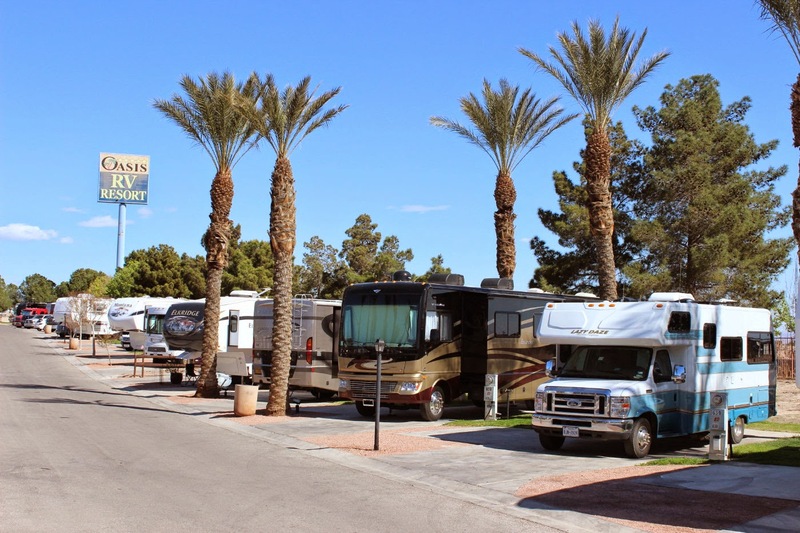 Our stop is a camping resort called Oasis Las Vegas, about one block from Las Vegas Boulevard, south of the Strip and the airport. How about that! 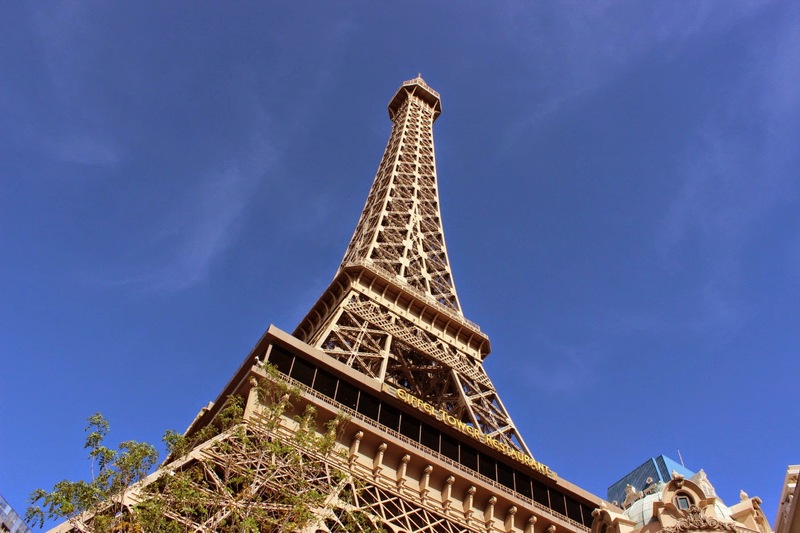 An Eiffel tower and all. The look definitely captures the feel of the real Paris. The shops are all under and around the Eiffel Tower and the hotel is the very large building behind in the above picture. Even down to the American and French flags. 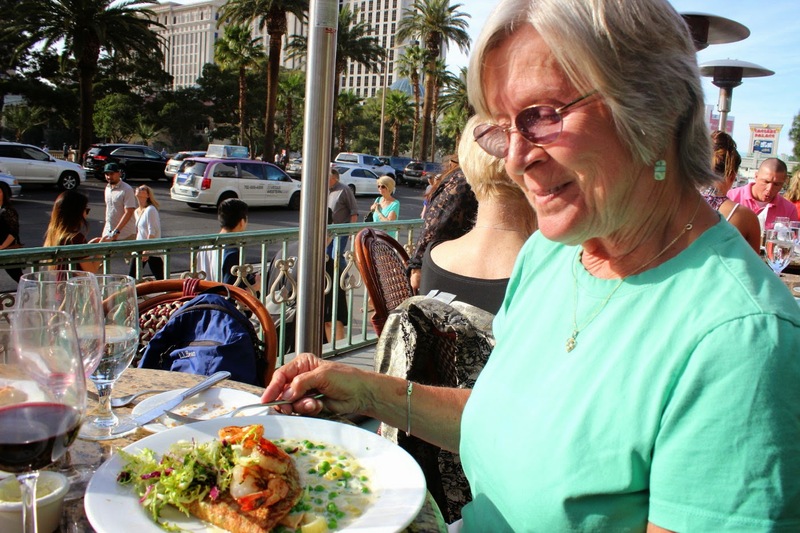 Jan's sister Barbara had recommended looking at the Paris Las Vegas area and we agree. The time is right for a late lunch. 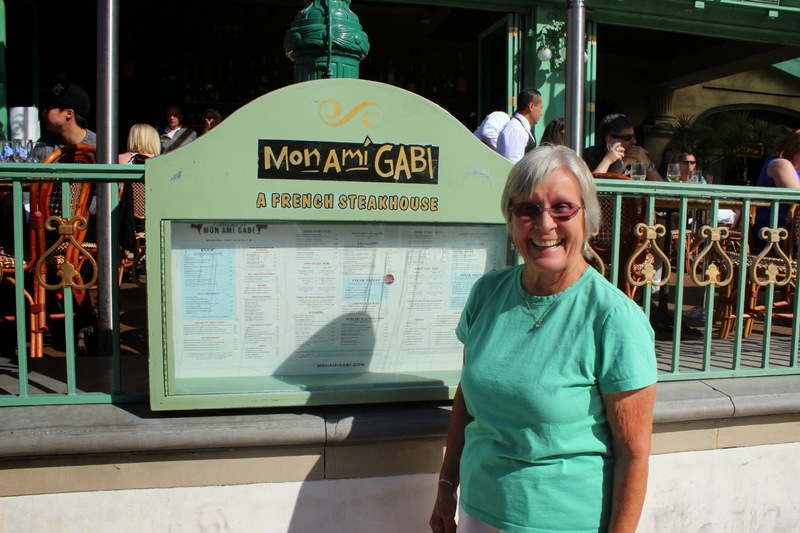 Why not at the Mon Ami Gabi restaurant. The restaurant is quite large with most of the seating inside. 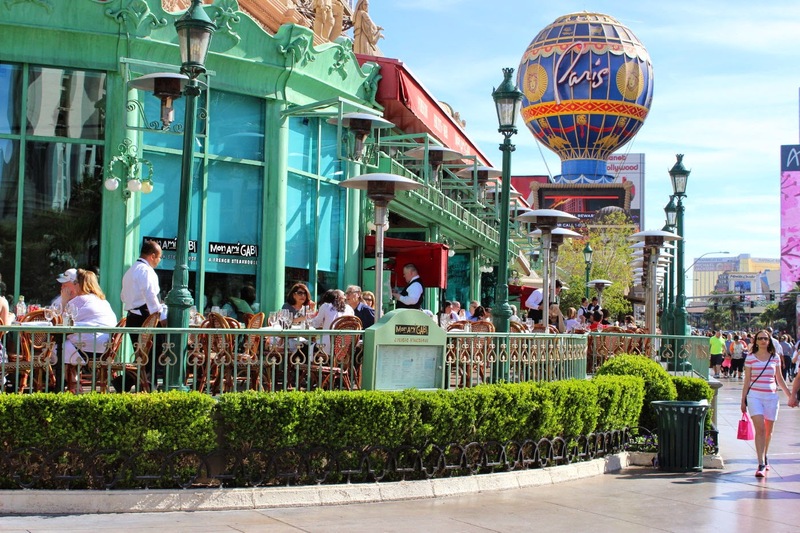 But we choose to sit outside and enjoy the view to the street and across to the Bellagio. Jan enjoyed a Seafood Crepe and I had a Scallop entree , accompanied by a glass of French Bordeaux wine. Both were wonderful. Some of the other tables looked very delicious as well. The picture to the right is totally indoors. 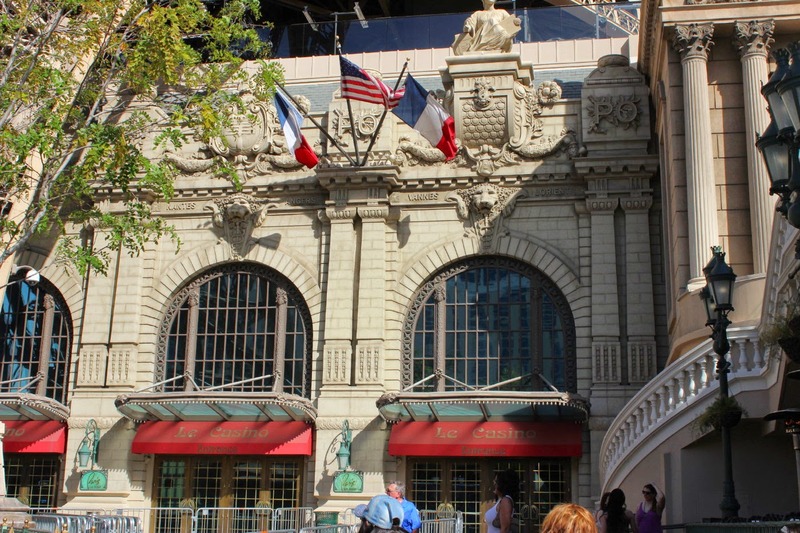 You see a base of the Eiffel and a scene to remind you or suggest walking around the Eiffel area, or close by, in Paris. 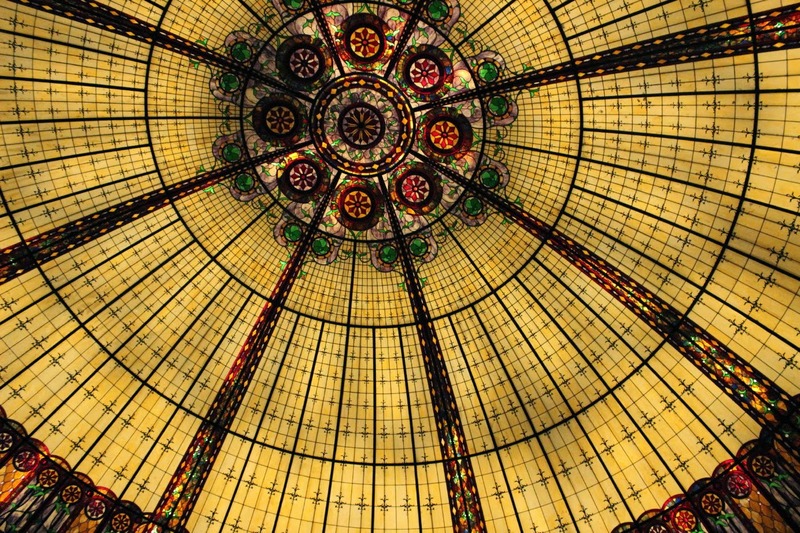 All inside are a number of restaurants, shops, the theater(showing the Jersey Boys--we were tempted), and some views such as this glass dome. 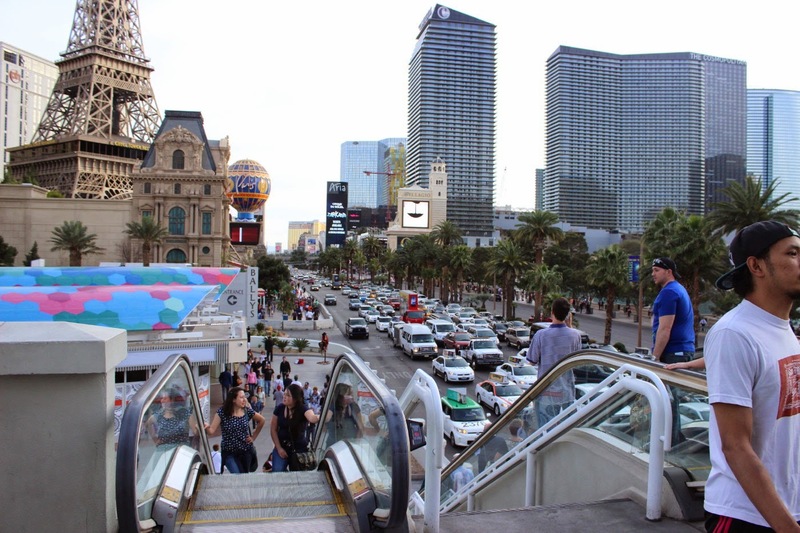 You would not cross Las Vegas Boulevard except at marked areas , such as this walkover. The traffic is fast and not very forgiving. A nice view south from the walkover. 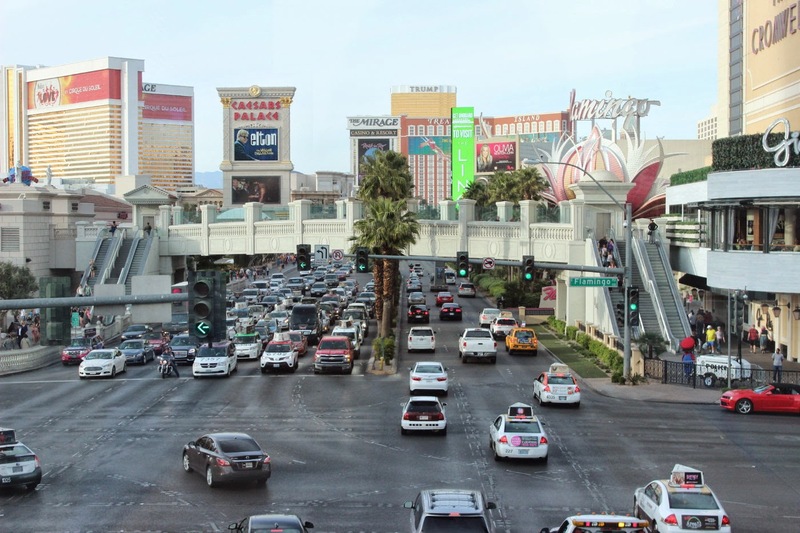 The view north includes part of Caesars Palace, The Mirage, Treasure Island, and Trump International. And , yes, if your count the lanes of traffic, you will come up with nine lanes of "I dare you to" traffic. 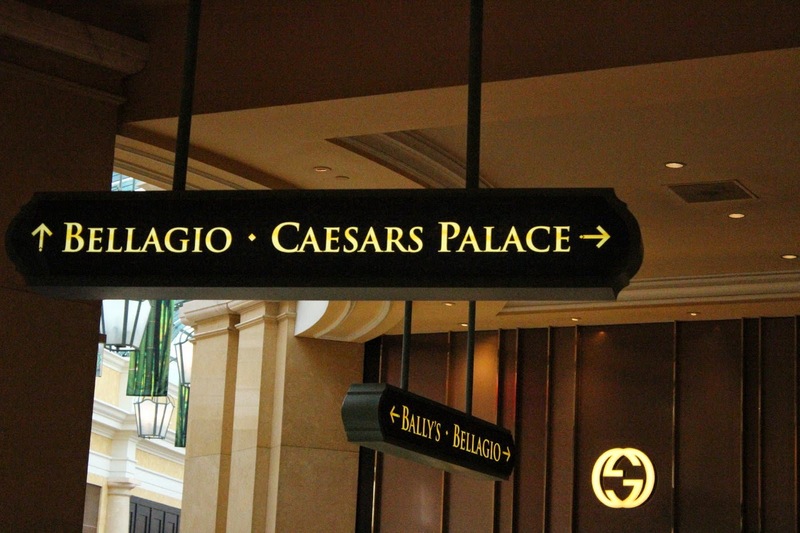 Safely across the street, we find our way into the Bellagio. We totally understand why there are direction signs. 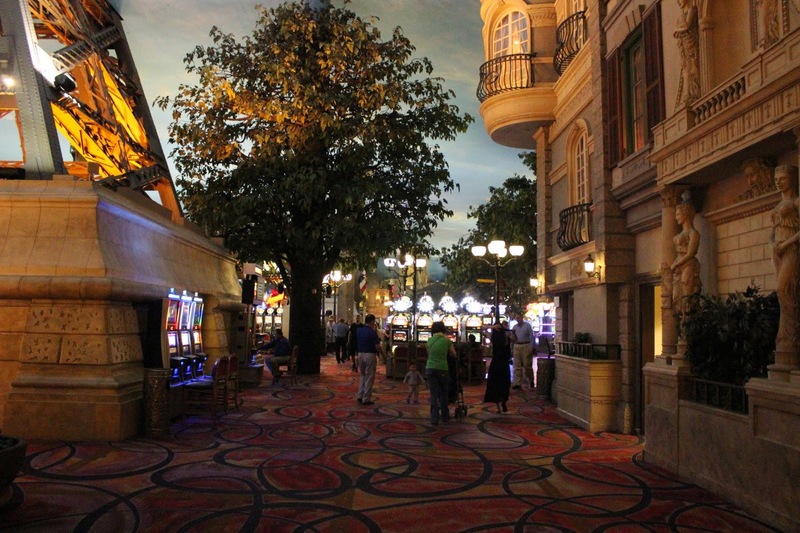 We did walk through the casinos, but neither one of us is up on what to do with the machines or the tables. So, nothing ventured, nothing gained ---or lost!!! Barbara had recommended the Lily Bar and Lounge. Unfortunately, we had just finished lunch and we were geared to a daylight return on the buses and walking. 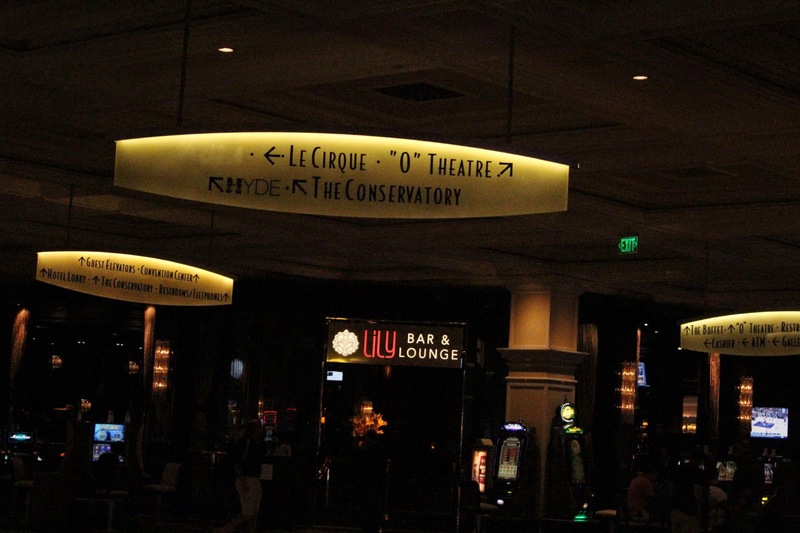 We understand that the ambiance and live music were quite good. A lot of entertainment does not begin until 9pm or after. 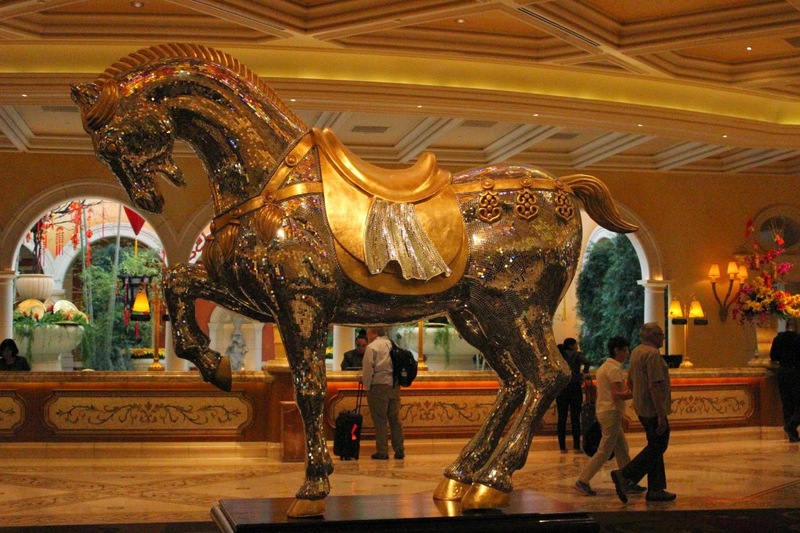 Also in the lobby is this fine sculptured horse. In the background is the registration desk. 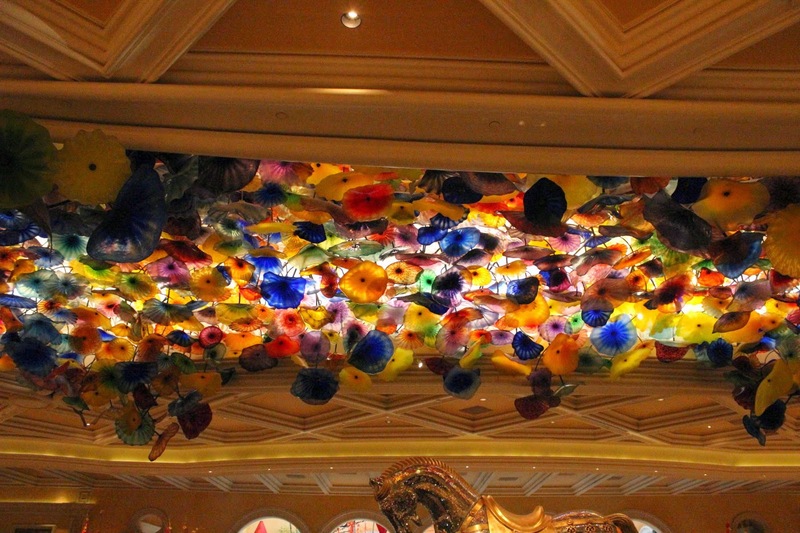 Also, inside the Bellagio are the Conservatory and Botanical Gardens. To the right is a picture from the current display of the Chinese New Year-the year of the goat. 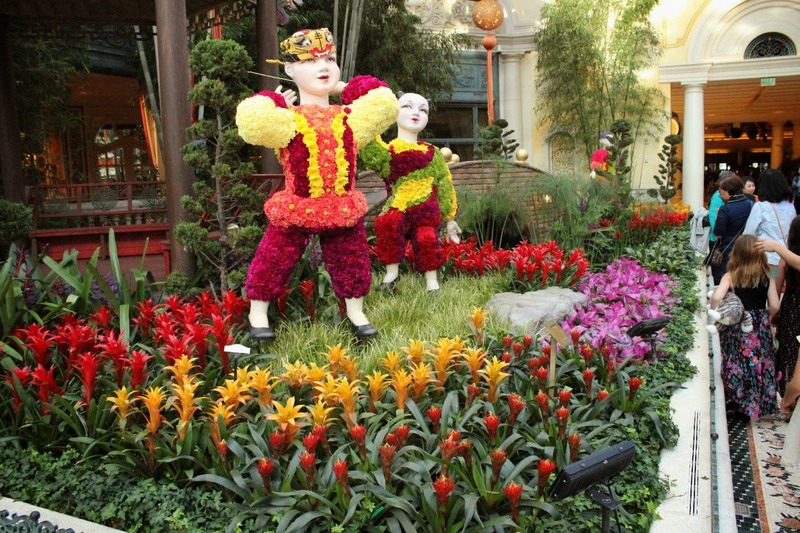 All the flowers are real and there was a live music performance as well. That was the year of the --------? 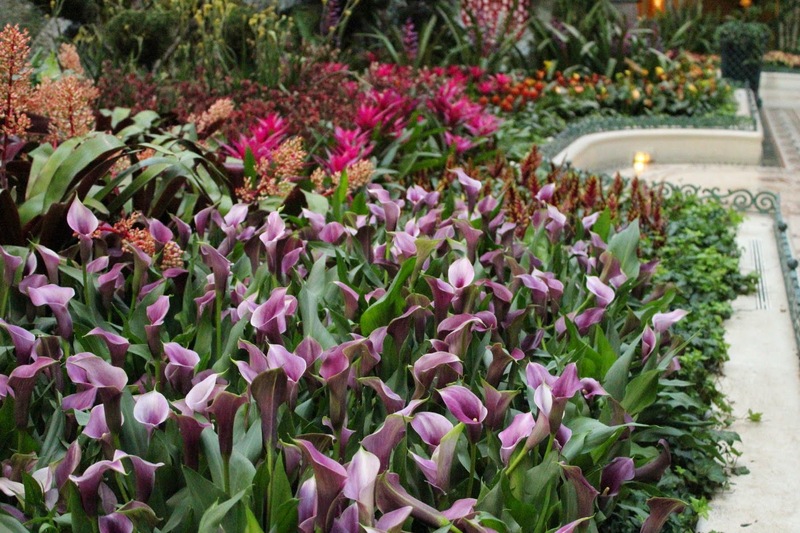 Take a look at this website for the Conservatory. Calla lilies in all kinds of colors. Who knew there were so many colors? This is the city of limousines. There is no questions that this is one of the absolute largest--as long as a big RV. 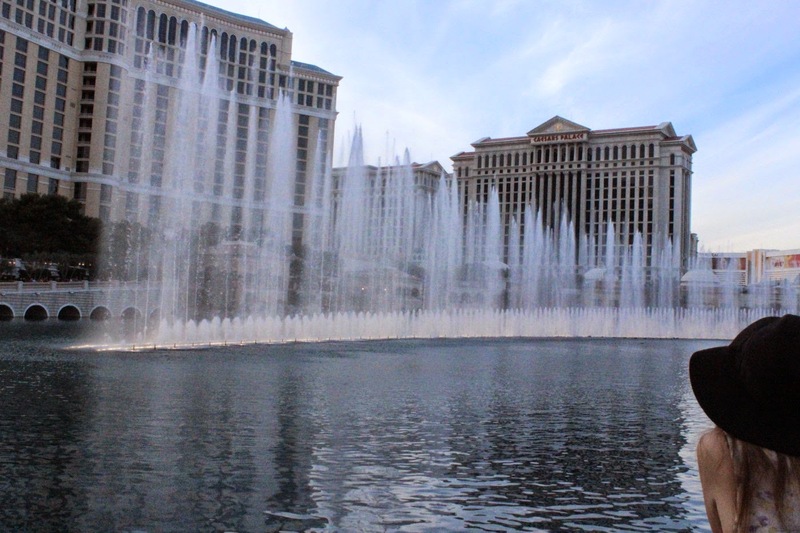 Our lunch across the street overlooked the Bellagio Fountains. Every half hour they would start a programmed piece set to various styles of music. Always attracting a crowd. See more at this webpage. 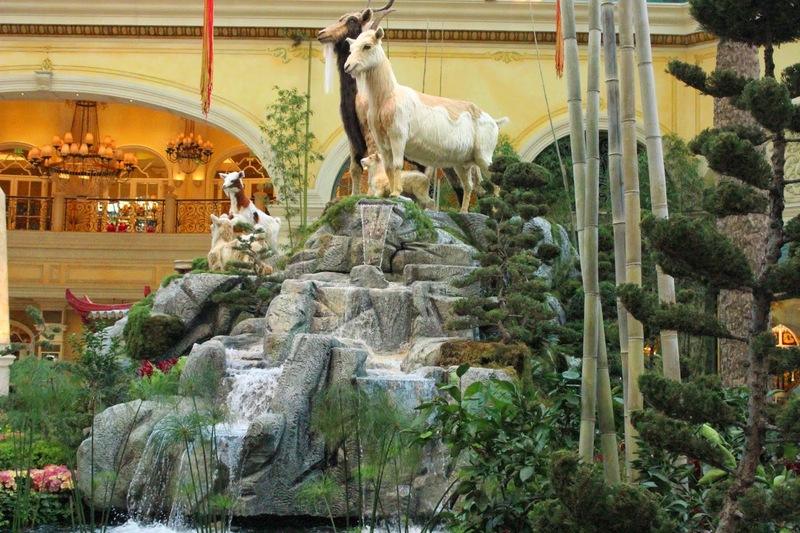 Our stay at the Oasis was very comfortable and the people were quite helpful. 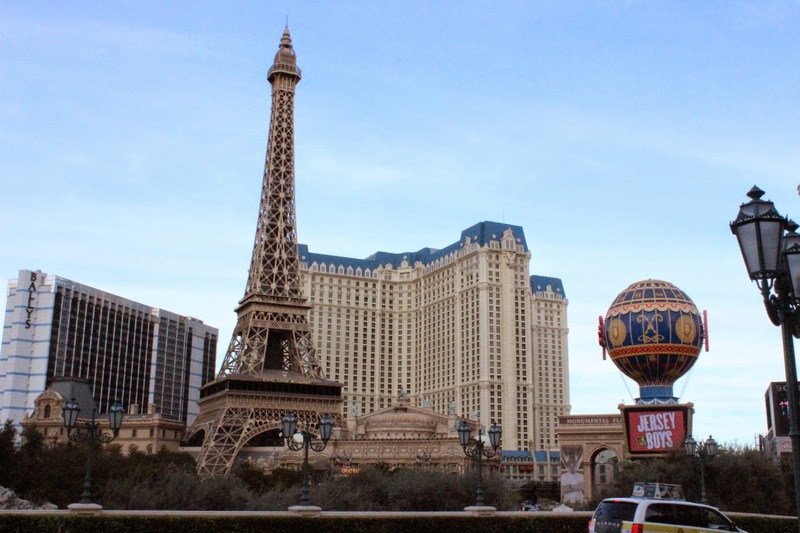 Our bus rides were only about one half hour to the Paris and the Bellagio. We had been trying to find a good place to do a much needed oil change for Lady Blue. We took advantage of a park recommended business called American Mobile Lube. Sure enough , the van came the next day and did a great job changing the oil and filters for about the same price as we have paid in the past. Who knew??? Oasis is typical of large resort parks. A number of pools, a restaurant, all kinds of services, and a large number of sites. With all of this, it was about $5 more per night than what we pay on Cape Cod for a dry camp site. A number of visiting RVers were having their units detailed, washed and waxed, roof repairs, and more. 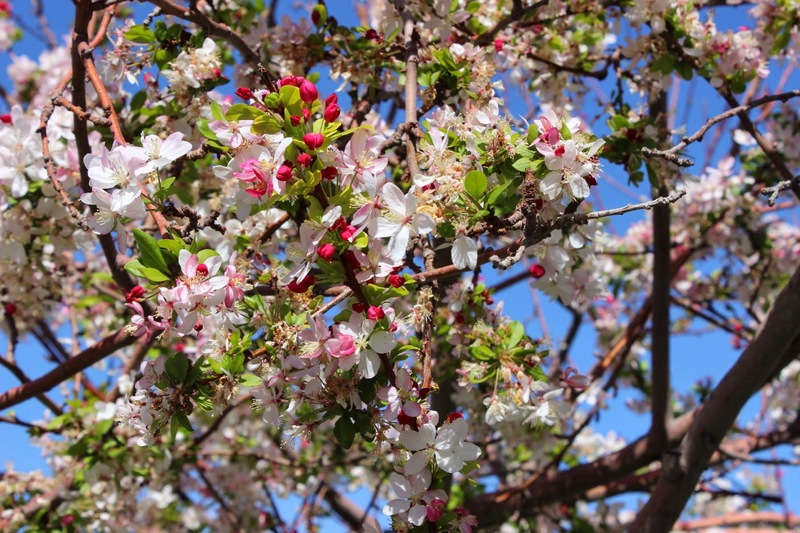 So nice to see the trees in bloom. 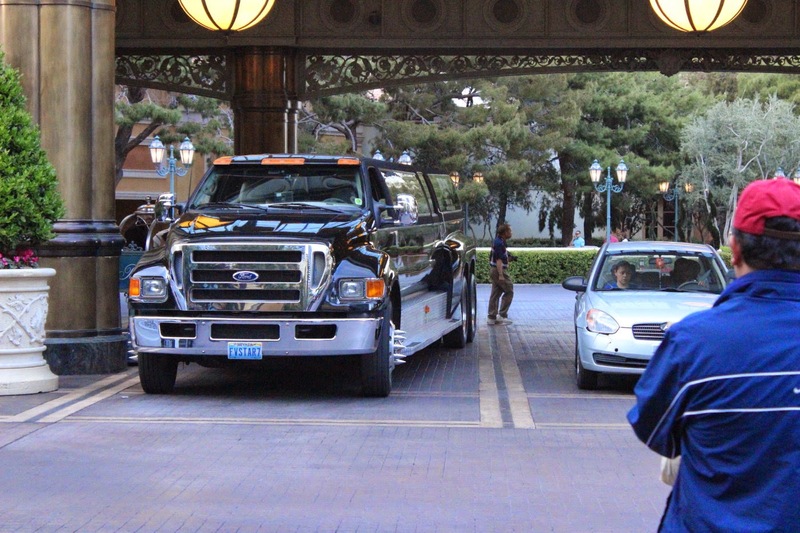 From Las Vegas , Lady Blue carries us up and over a 5,500 foot pass and down to Pahrump, Nevada. This campground is one of our Escapee parks called Pair-A-Dice. Yes, there is a bit of casino business in this town too. A very pretty spot. This picture is from our dry camp spot at the park. 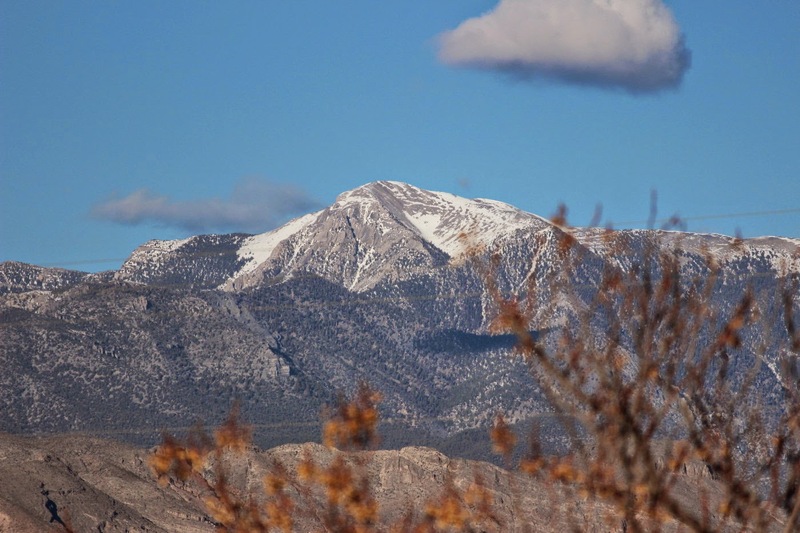 This is Mount Charleston, about 12,000 foot elevation. While the Las Vegas campground was not too expensive, we are enjoying this great view for two days in a very friendly campground. Our first night was free. The second night $5. Laundry is $1.00 for wash and $.75 for dryer. The laundry room is very clean and the machines are fairly new and all working. Life is Good!